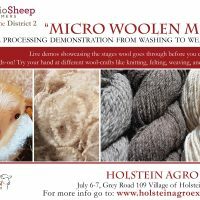 Holstein’s Agro Expo will be hosting its Second Sheep to Shawl and Drop Spindle competitions this year, 2019. Sheep to Shawl is a competition, between teams of six (6) members, to spin raw wool into yards of yarn and use that yarn to weave and complete a shawl approximately 60” long by 20” wide, in just four (4) hours. Drop Spindle competition is for solo competitors to spin a minimum of 15 grams of wool roving into a two (2) ply yarn on a drop spindle, in an effort to create the longest, best quality of yarn they can in just two (2) hours. 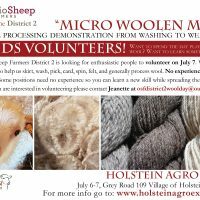 The fleece for the weft of the shawl and roving for the drop spindlers will be provided by local sheep producers. First come, first served, minimum of four teams. *special note; due to space restrictions registration will be limited to four (4) teams on a first come basis. Each team will have six competing members. A seventh team member is welcome to be part of that team to be a spokesperson. Local raw fleece will be provided for each team. A draw will used to distribute the fleeces to the teams. The finished shawl must have an area no less than 1,200 square inches and a length no less than 60 inches. 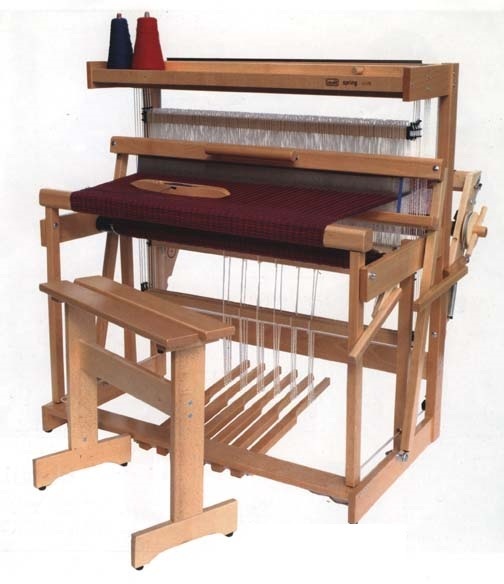 Each team will provide its own warped loom. 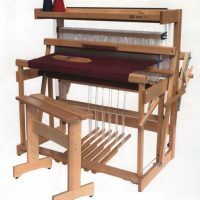 Warp must be between 8-12 epi, 100% sheep’s wool, commercial or handspun yarn and it may be natural colour, hand dyed or commercially dyed. Locally sourced wool and yarn are preferred. Event passes for each member of the team will be sent to each team leader upon receipt of entry. Competitors are welcome and encouraged to set up and demonstrate spinning on Friday afternoon if they wish. 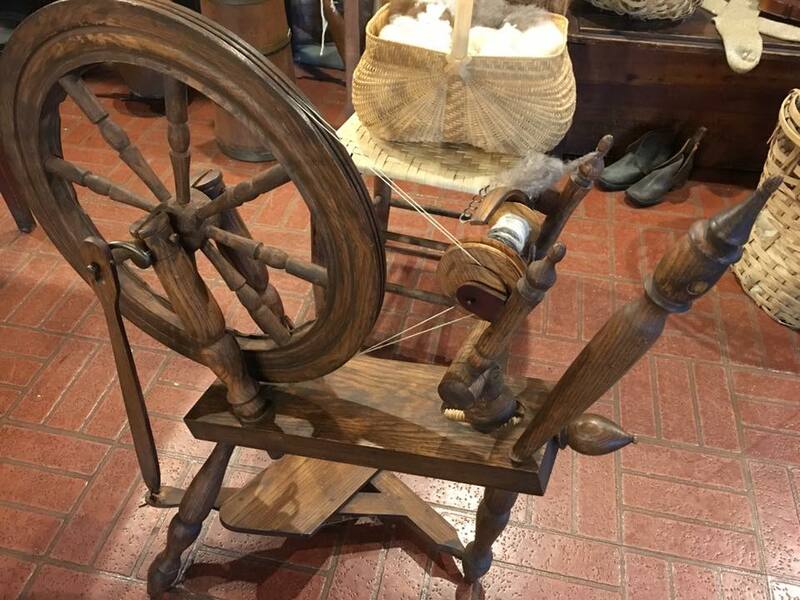 This spinning is not to be used as part of the competition. 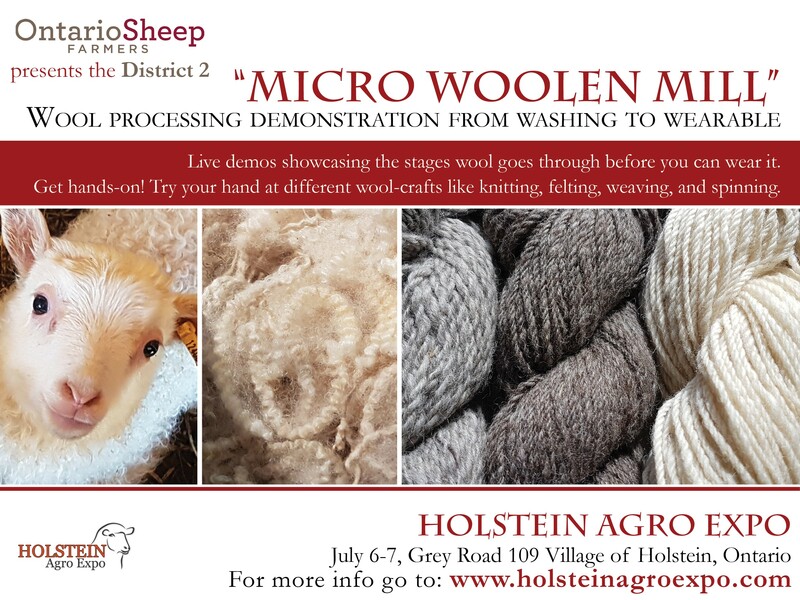 Each contestant will construct a skein of plied wool yarn weighing no less than 15 grams. 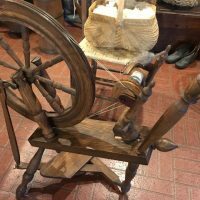 The yarn will be spun and plied using a drop spindle and the skein will be wound using a 1 meter niddy noddy. 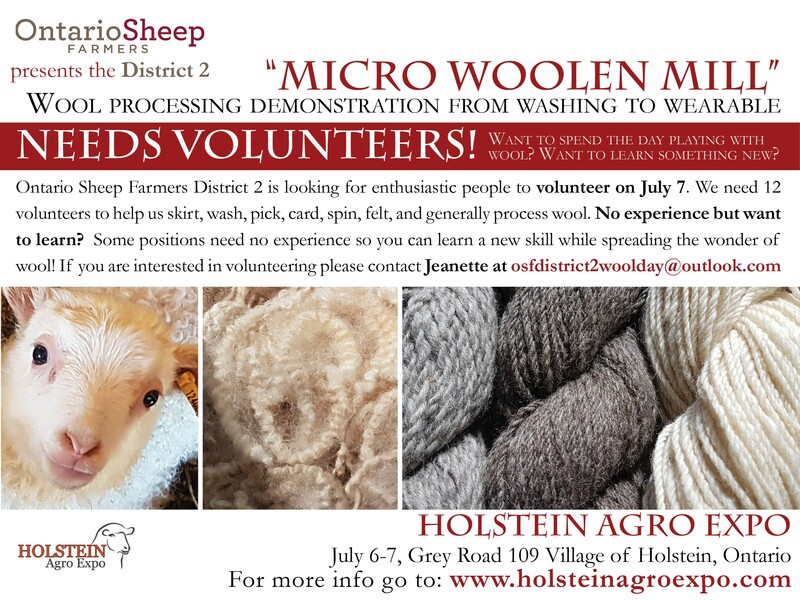 Each contestant will be provided with wool roving. The skein must be spun within the 2 hour alotted.